This genus is accepted, and its native range is Subtropical to Temp. Northern Hemisphere. Warm temperate and Mediterranean climate zones of N America and Eurasia in mesophytic forest, mediterranean bushland and thicket (chaparral and maquis), lower montane forest and mixed deciduous forest. C. canadensis and C. chinensis can both be found on limestone, although not exclusively. Several species reach elevations of up to c. 2000m. 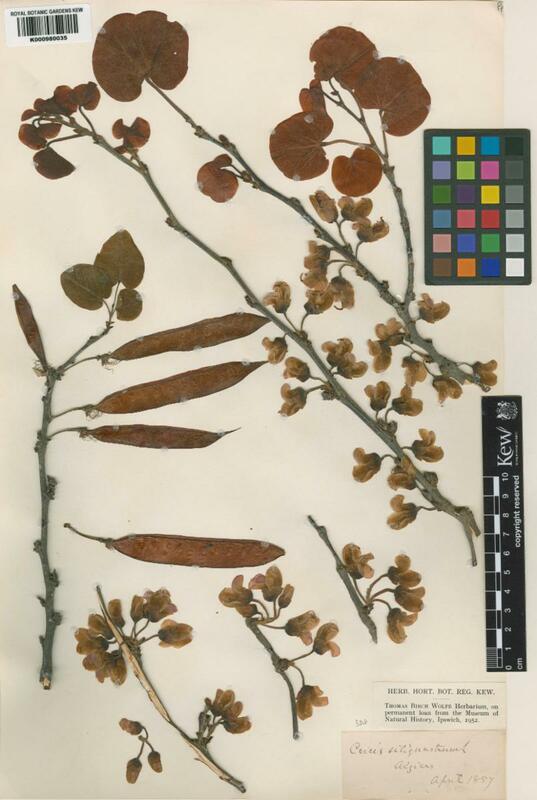 C. griffithii has been found as high as 3150m. Eurasia, China and N America. C. canadensis var. 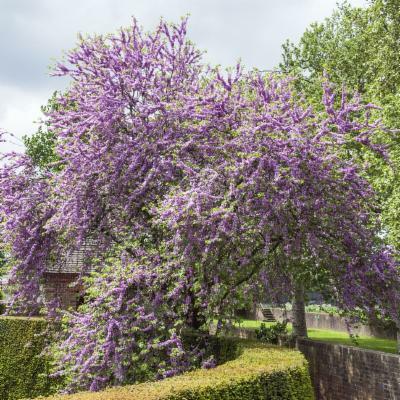 canadensis is native to the eastern United States to Texas and Oklahoma, whilst C. canadensis var. mexicana occurs in west Texas and the adjacent area of Mexico, and C. canadensis var. texensis in South Oklahoma, Central Texas and into Mexico. C. siliquastrum ranges from the Mediterranean region to central Asia, with C. siliquastrum subsp. hebecarpa occuring only in Iraq. 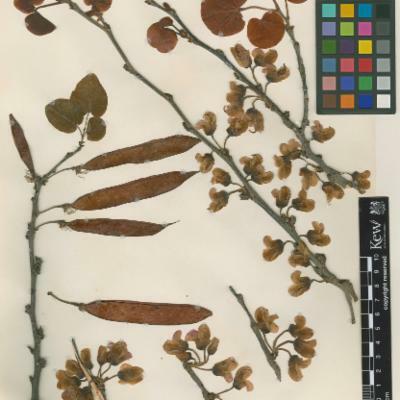 C. griffithii occurs in central Asia. 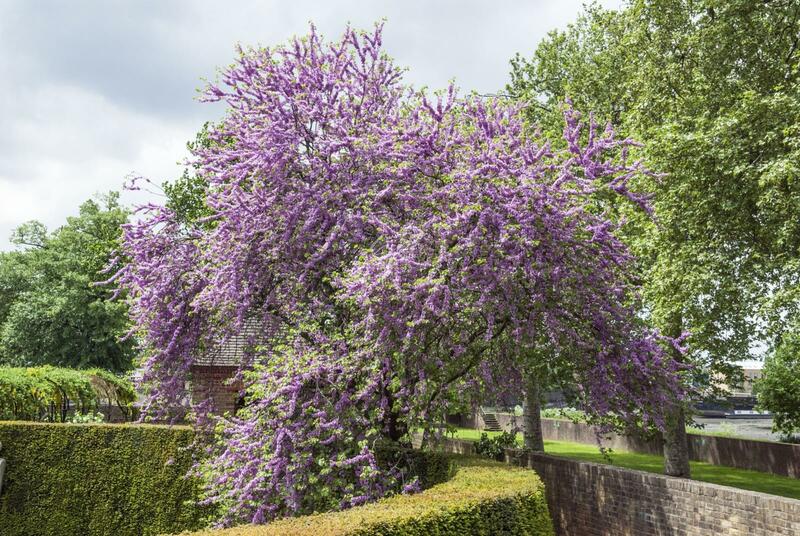 Of the 6 Chinese species, 3 are found in the southern regions, 2 span from the south to north central areas and C. chinensis is the only species with its northern range extending to Manchuria. A member of subtribe Cercidinae (Wunderlin et al., 1981; 1987). In the molecular analyses of Davis et al. 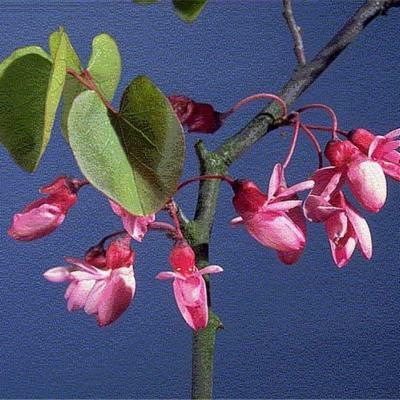 (2002b), C. canadensis L. from eastern N America is more closely related to C. siliquastrum from western Eurasia than to C. occidentalis Torrey ex A.Gray from western N America. 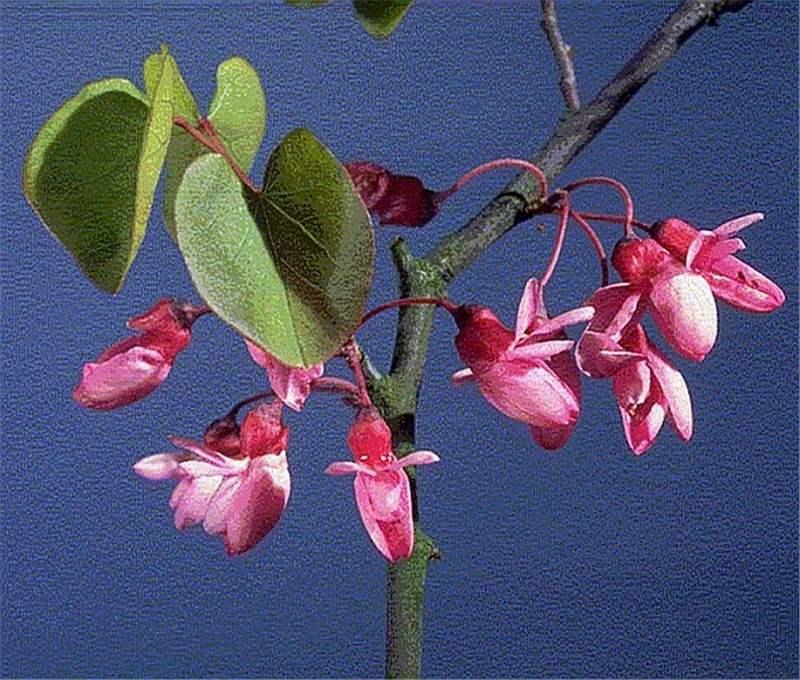 The pseudopapilionoid flowers of Cercis species share many specialisations found in flowers of typical members of subfamily Papilionoideae, but these are convergences and are not indicative of close evolutionary relationship (Tucker, 2002b). Besides, Cercis flowers have 'ascending cochlear' corolla aestivation, not 'descending cochlear' as in Papilionoideae. 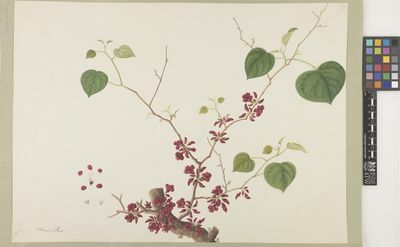 Nevertheless, the flowers of Cercis differ markedly in structure and development from those of Bauhinia (Tucker, 2002b). In molecular analyses (Bruneau et al. 2001 & Sinou et al. 2009) and the combined molecular-morphological analyses of Herendeen et al. 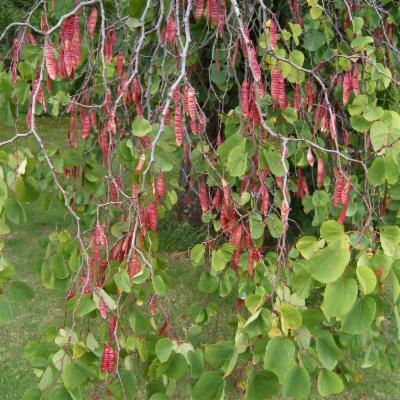 (2003a), Cercis is basally branching both within tribe Cercideae and the whole of the Leguminosae. Studies by Banks et al. 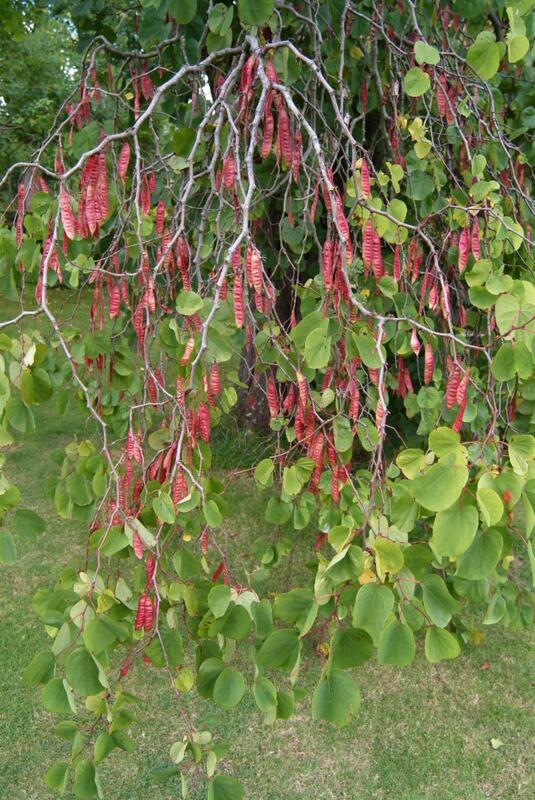 (2013 & 2014) indicate that Cercis has similarly unspecialised pollen to the other early branching lineages in the Cercideae. 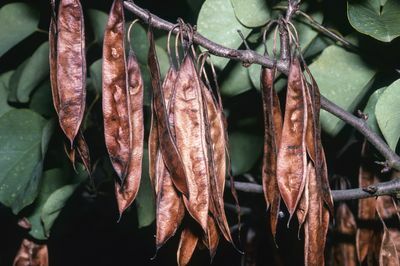 Some species, e.g., C. siliquastrum (Judas tree) or C. canadensis L. (redbud) are widely cultivated as ornamentals; also used for medicine, human food (flowers, young pods), bee forage (honey), timber (the Indians of N America made bows from the wood of C. canadensis) and cosmetics (Arabic women used the powder produced from incineration of C. siliquastrum petals to darken eyebrows and hair). C. griffithii and C. occidentalis are also occasionally cultivated as ornamentals.